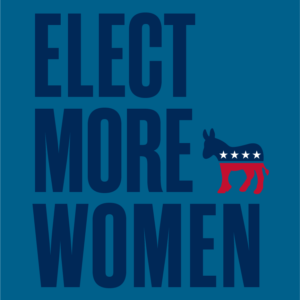 From April 13-14, the NDP’s Women’s Caucus will be hosting the National Federation of Democratic Women Midwestern Regional Meeting in Omaha. The meeting will begin with a reception on Friday, April 13 from 6:30-8:30pm at the OM Center, 1216 Howard Street, Omaha, NE. Check-in for the meeting goes from 9:00am-10:00am on Saturday morning at the Embassy Suites Old Market, and the first meetings begin at 10:00am. Speakers at the event include; Midwestern Regional Director for the National Federation of Democratic Women, Dorothy Adams; Nebraska Democratic Party Chair Jane Kleeb; and candidate for US Senate, Jane Raybould. The meeting will also include a Reverse Townhall discussion of women in rural/red states, moderated by NDWC 3 Chair, Kathy Moore-Jensen, a conversation about sexual misconduct led by NDWC 1 Chair, Meg Mikolajczyk, and a voter suppression roundtable led by Lynne Elwood, NDWC Vice Chair. Thank you to Janet Stewart, NDWC Chair, for organizing and hosting this event. We have just over 200 Democratic women running for public office in Nebraska, which would not have been possible without the tireless efforts of the NDP’s Women’s Caucus, under Janet’s leadership. This meeting will be another exciting step in empowering female leaders in Nebraska.